DISCLAIMER: All statements, technical information, and recommendations contained herein are believed reliable, but no guarantee is given as to their accuracy and/ or completeness. 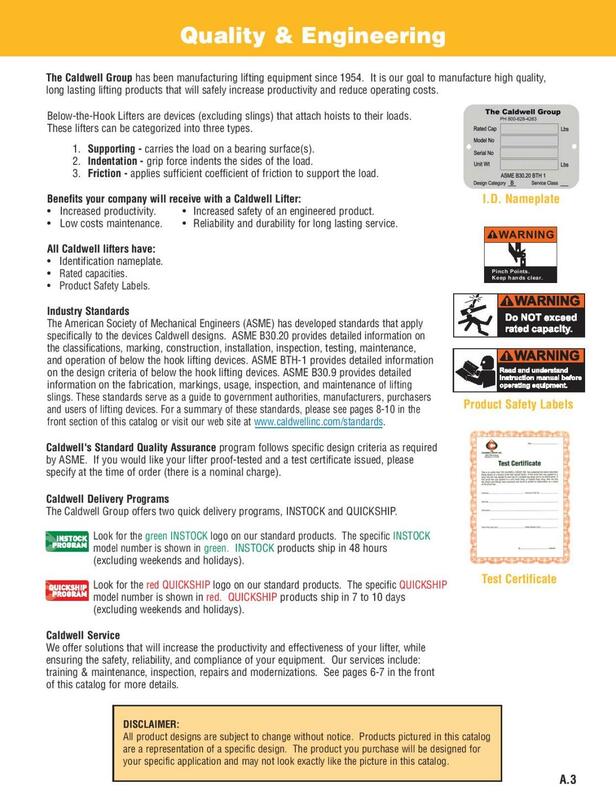 This publication and the products described herein may be changed or updated without notice. This publication is made available on the basis that all liability whatsoever for any loss or damage arising, directly or indirectly, out of or in connection with your use of this publication, is excluded to the fullest extent permitted by law. The user must determine the suitability of the product for his particular purpose either alone or in combination with other products and shall assume all risk and liability in connection therewith. While every attempt has been made to ensure accuracy in the content of the training and tables, the content in this publication does not form part of any contract. Short span lifting beams w/ capacities from 13 to 149 tons. 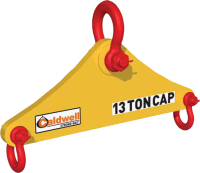 Model 19 - 1/2 to 3 ton capacities. Model 20HC - 50 to 80 ton capacities. Model 22 - 1/2 to 20 ton capacities. Model 25 - 2 to 40 ton capacities. 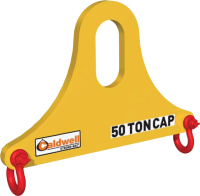 Model 24 - 1/2 to 20 ton capacities. Model 26, 2 - 20 ton capacities. Model 26P - 2 to 20 ton capacities. 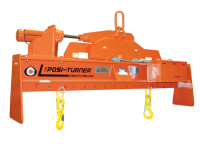 Model 27SL - 1 or 2 ton capacity beams designed for lifting bulk containers with loop corners. Model 27SD - 2, 5, and 10 ton capacity adjustable 4-point beams. Custom designed four-point lifting beam. Three point lifting system, custom designed to your specific application. Model 21 - Custom designed twin hoist beam. Model 28 - 2 ton capacity beam.